Rainfall in Kalimpong in July2015 has been unusual to say the least. 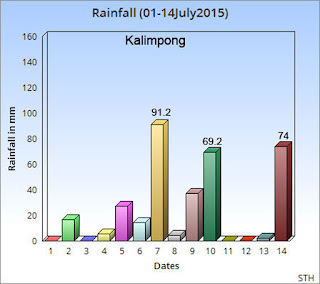 For one thing we are having heavier showers than Darjeeling or Gangtok which is strange and then days of little or no rain are followed by days when it literally comes down in buckets (see graph above). 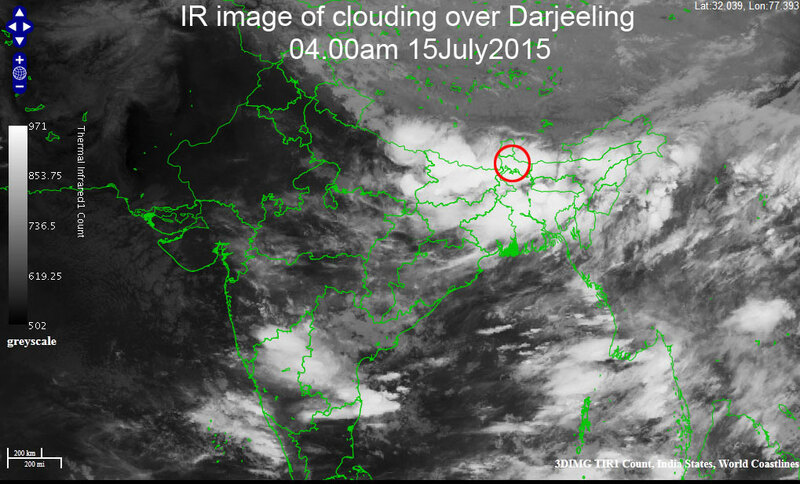 This sort peaking of intense showers after the deluge of 30June2015 when approx 13 days of rain came down in about 8hrs is causing huge problems for us. 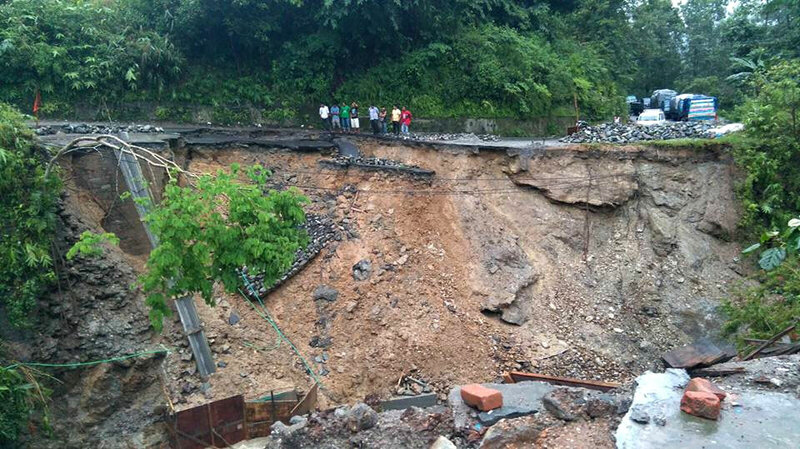 For one thing its downright scary because the heaviest showers are always at night and then today the 74mm rainfall brought down our main road link to Siliguri and the plains at 6th mile (see middle image). The associated clouding which gave us that rain is seen above.